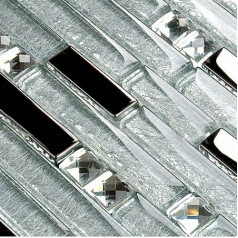 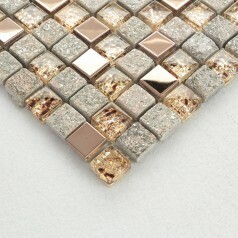 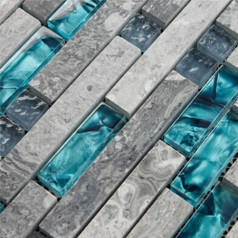 This glass and stone blend tile was designed with interlocking patterns. 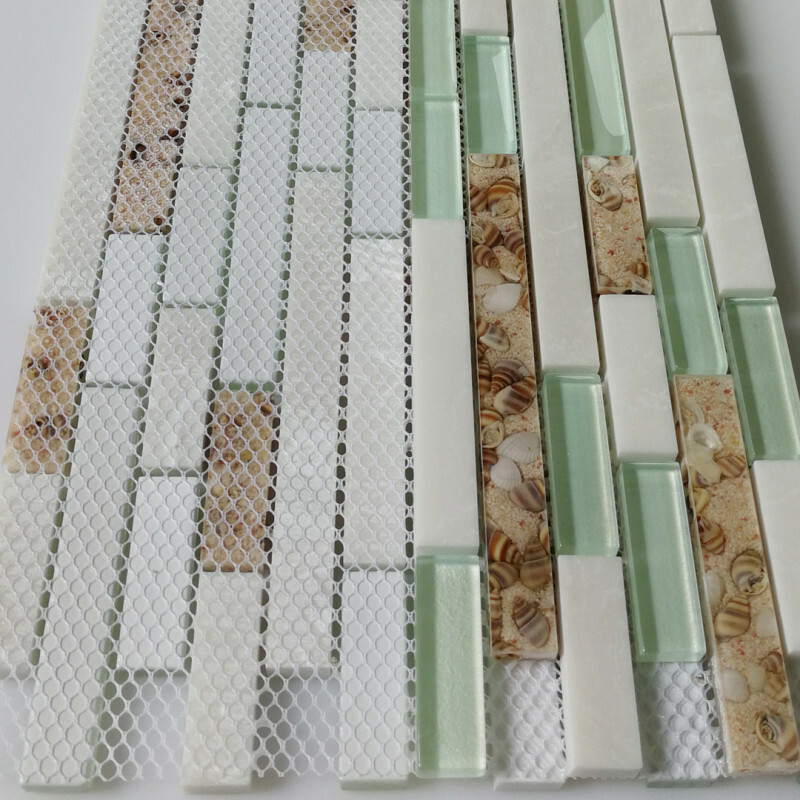 The lake green crystal glass chips looks like the sea, the super white stone chips sand for the waves, and the sandy acrylic chips stand for the beach. These harmonious colors weave a peaceful beach holiday dream, so we named the tile as "Peaceful Beach Holiday", bring nature to your home! 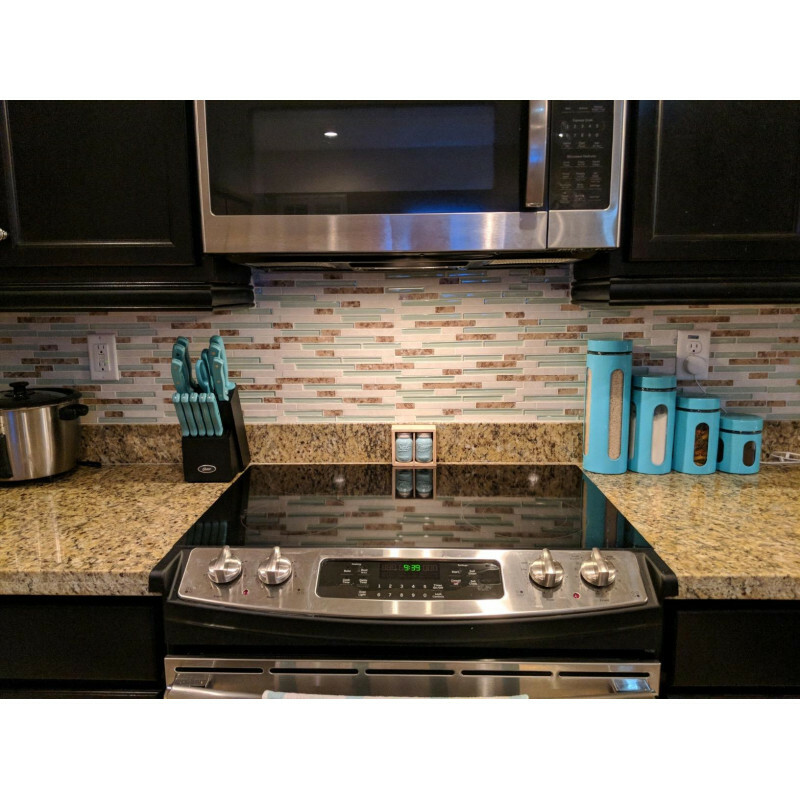 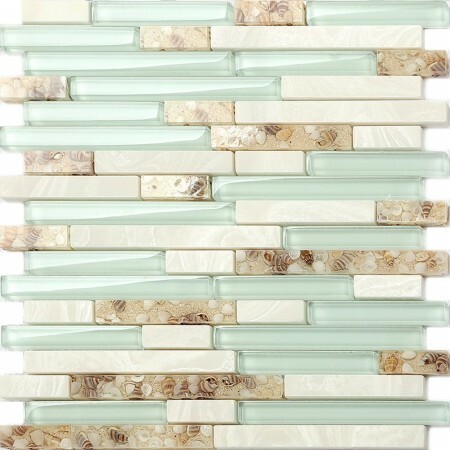 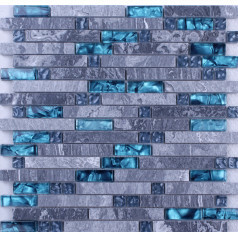 You can create a spectacular coastal kitchen with this backsplash tile. 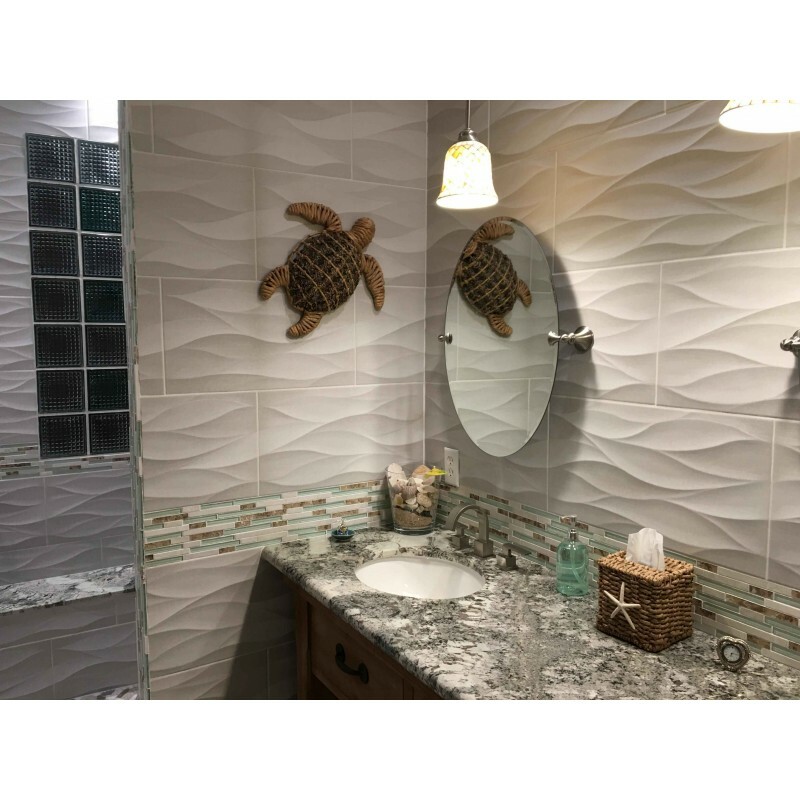 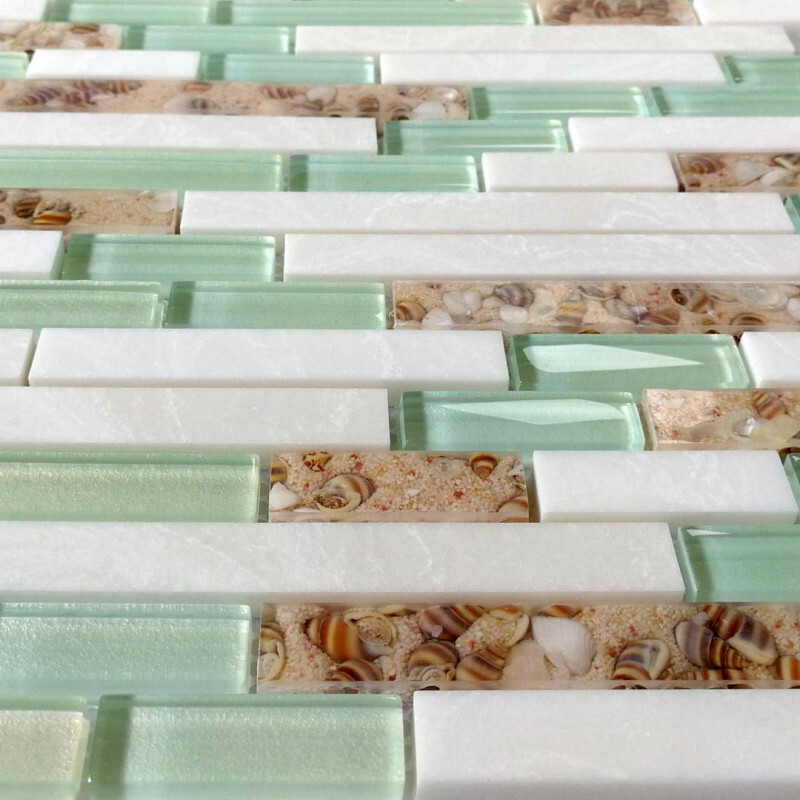 Make a beach tile mural the focal point, choose nautical theme tiles, bring the ocean to your kitchen with beautiful lake green glass tiles.